Charcroft Electronics Ltd., – a specialist distributor and manufacturer of electronic components for harsh and high-end applications – has launched a new website which enables buyers and engineers to simplify the selection of rugged and high-reliability components for use in specific applications: military & defence, Space, oil & gas, rail & transportation, industrial, specialist automotive, audio and instrumentation. The site offers easy access via PC, mobile and tablet. Online procurement tools include current leadtimes, an inventory list and stock search in addition to Parts Change Notices (PCNs), online quotations, subscriptions to Charcroft Intelligence emails and account applications. A Live Chat service provides online support for commercial or technical questions. Online purchasing of passive components manufactured in Charcroft’s UK-based CECC-approved manufacturing facility is offered via eBuy. 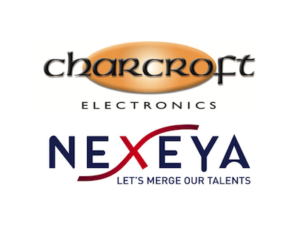 In addition to the UK-manufactured components, the site includes products from Charcroft’s franchised distribution linecard which covers passive, optoelectronic, electromechanical and magnetic components, in addition to power supplies, solid-state fuses, sensors and high-reliability semiconductors. 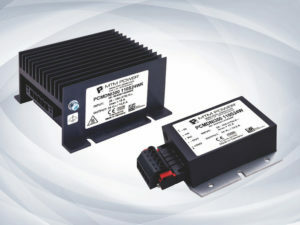 All of these product ranges offer products which withstand extreme operating conditions such as high levels of temperatures, shock, vibration and contaminants as well as high ratings for voltage, power, current or precision. At its UK-based, BS- and CECC-approved production facility Charcroft manufactures custom passive assemblies, audio and precision foil resistors in addition to silver mica and legacy ceramic capacitors. This facility is a Vishay Precision Group (VPG) Approved Precision Centre for Bulk Metal® Foil resistors and offers taping and reeling, in addition to Precision Express® manufacturing for prototype and pre-production quantities. Charcroft is approved to BS9000, IECQCECC and BS EN ISO 9001:2015 and has over 40 years of experience as an Approved Supplier to major OEMs and CEMs in the industrial, defence and other high-end sectors.